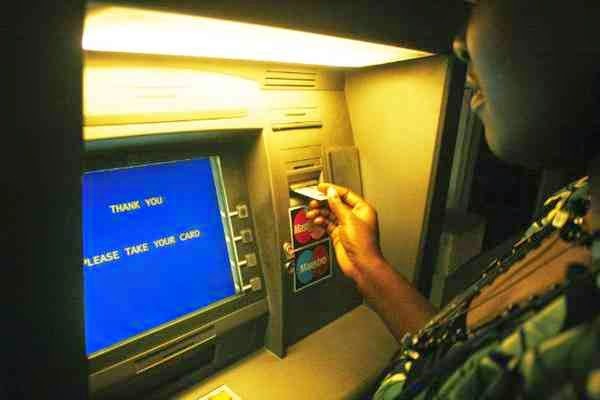 There is mixed reaction among Nigerians as the N65 charge on Automated Teller Machine (ATM) transaction begins today. The remote-on-us ATM transactions as directed by the Central Bank of Nigeria (CBN) on (other banks ATMs) withdrawal, was cancelled in December 2012 by the CBN under the leadership of ex-Governor Sanusi Lamido Sanusi, citing the need to encourage the people to use the ATM. Then, it was N100 per withdrawal. But in the new regime which begins today, a customer will be debited N65 after three withdrawals from other banks ATM. The news charges have attracted criticism, but the apex bank and the Bankers Committee said the decision is in the economic interest of the country. They said the removal of the charges had a negative effect on the cashless policy adding that today’s takeoff of the N65 fee would create competition among banks and lead to improvement of services to customers. “The wear and tear as well as the frequency of servicing the ATMs has increased significantly. Indeed, some customers were beginning to abuse the use of ATMs through countless withdrawals. This development has led to increase in cash transactions, which negates the bank’s cashless policy”, the CBN said in a statement. According to the CBN if a part of this cost goes unabated, the banks may be forced to reject transactions coming from their customers at other banks’ ATMs, thereby frustrating the inter-operability of payment systems. Maintaining that running ATM is expensive and requires economic incentive, an economist and Managing Director, Financial Derivatives Company Limited, Bismark Rewane, described the reinstatement of the ATM charge as appropriate. He said the removal of ATM charges was wrong in the first instance, adding that there was no way a bank could recover its costs and improve on profitability. But chairman of the National Humans Rights Commission (NHRC) Prof. Chidi Anselm Odinkalu, kicked against the policy, saying it did not benefit the poor and should be discouraged. “So, the CBN Governor has decreed that ATM transaction shall henceforth attract a charge of N65. Clearly, providers of banking services exist to make profits for their shareholders. But regulatory powers are a public good. There is a legitimate question to be raised here: (how) does this serve the public good?,” he queried. Odinkalu added: “Nigeria is a country that is heavily under-banked; banking penetration is low; retail banking is poor in many places. For these deficiencies, customers are to be levied what is in effect a financial services tax of N65 on withdrawal. And this in a country in which no bank recorded a loss in the last year. I do understand ATMs need a back-end. But if the banks are already profitable, while introducing the fee”. Does anyone know the figures for average trip to a cash-point per customer per annum? That would give a sense of how much this tax is worth. “With the level of hardship we have here, how many Nigerians can afford this tax? I would like to get a legal team to review this because there may be room to get the CBN to justify itself under the applicable rules of judicial review,” he said. « Funke Akindele Set To Wed UK Lover?